Solar installation over parking lot at Stockton College. Below is New Jersey Future’s testimony on proposed legislation (S1295) that passed out of the Senate Environment committee on May 17. New Jersey Future supports renewable energy and welcomes legislation to reinvigorate our solar sector. Unfortunately, S1925 will also broaden state subsidies for the conversion of farmland and open spaces to solar facilities. 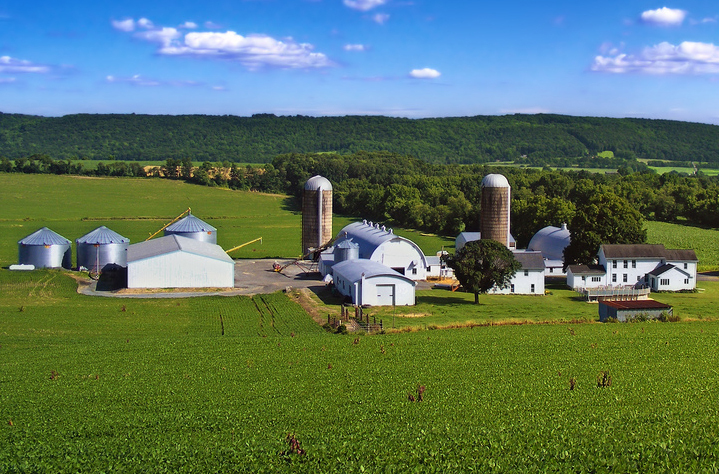 The provisions in the bill that support utility-scale solar on farmland and open space are unnecessary because other proven, sustainable options exist. Northern New Jersey’s industrial space (typically single-story) totals 800 million square feet. Add in commercial and institutional rooftops and rooftop space statewide, and there is easily more than the 300 million square feet of rooftop space needed to meet existing solar goals for 2026. 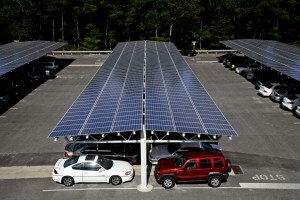 New Jersey’s surface parking lots offer additional capacity for solar canopies. 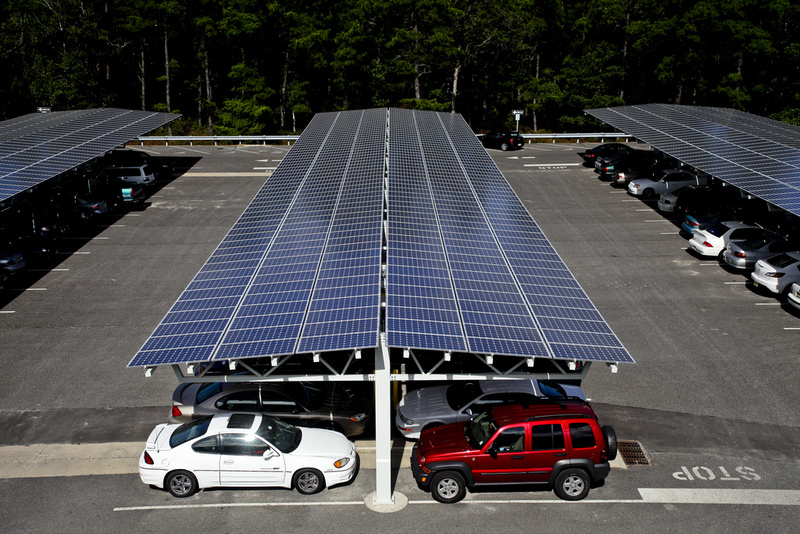 Although there are no statewide figures on surface parking lot capacity, total impervious surfaces (including rooftops, surface parking lots and access roads) are estimated at 6.8 billion square feet, more than 20 times the space needed to meet existing solar goals for 2026. Five landfills host solar facilities, with projects on additional 24 landfills proposed or in development as of March 1, bringing these damaged sites back into good use. New Jersey has over 10,000 brownfields, many of which could host solar. No conversion of farmland, forests or other open space. No soil compaction during construction, which impairs future value as farmland. No need for visual buffers or screening. For solar developers — no local opposition or lengthy approval process. Economic benefits for property owners and businesses. New Jersey Future supports the additional incentives proposed in S1925 for solar facilities on brownfields and landfills. 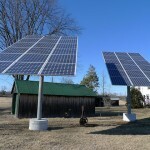 The Legislature should go a step further to ensure that incentives for solar facilities on rooftops and parking lots are more attractive than those offered on farmland and other open lands and that the BPU has the ability to tier incentives to meet state policy priorities, including those articulated in the State Strategic Plan. Thank you for your consideration. For more information, please contact Chris Sturm (csturm njfuture org) at 609-393-0008, x114. These figures are updated from New Jersey Future’s May 2011 report, Assessment of Solar Facility Siting in New Jersey, but are based on the same methodology. New Jersey Future will release an updated report by June 1, 2012.